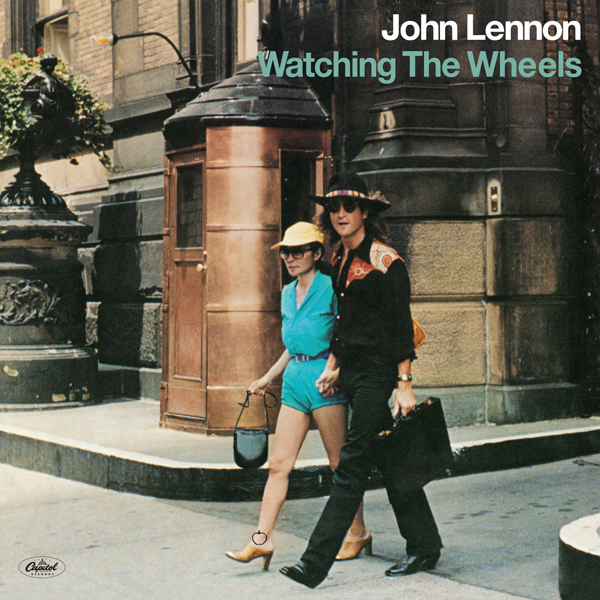 The photograph for the album cover of the posthumous John Lennon single “Watching The Wheels” was taken on August 7, 1980 by Paul Goresh. 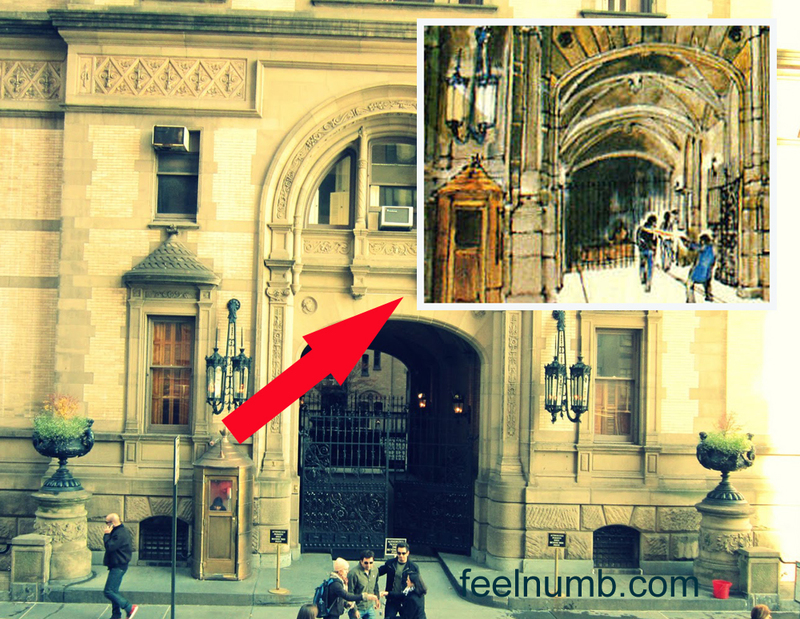 What makes the photo significant is that the single which was released on March 13, 1981, was taken in almost the exact location of Lennon’s murder at the hands of Mark David Chapman on December 8, 1980. 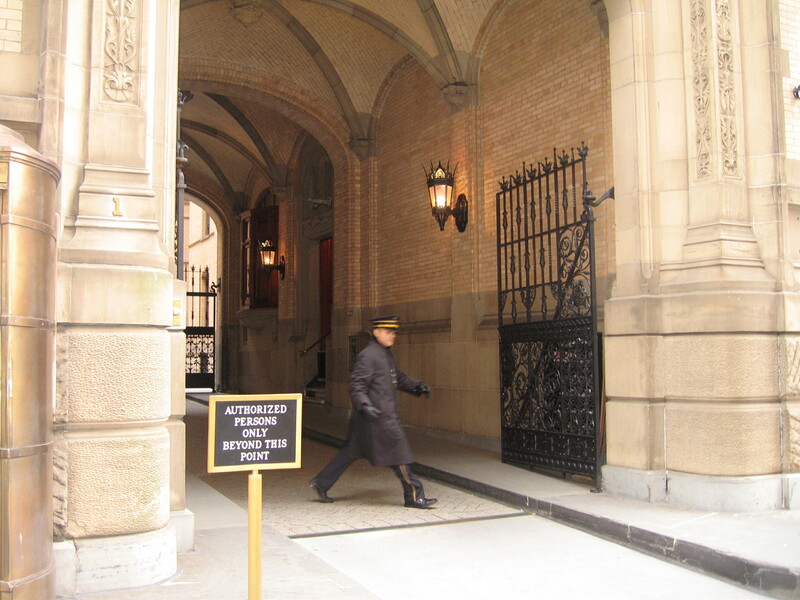 Lennon was shot down at the The Dakota entryway on West 72nd Street, New York, NY. 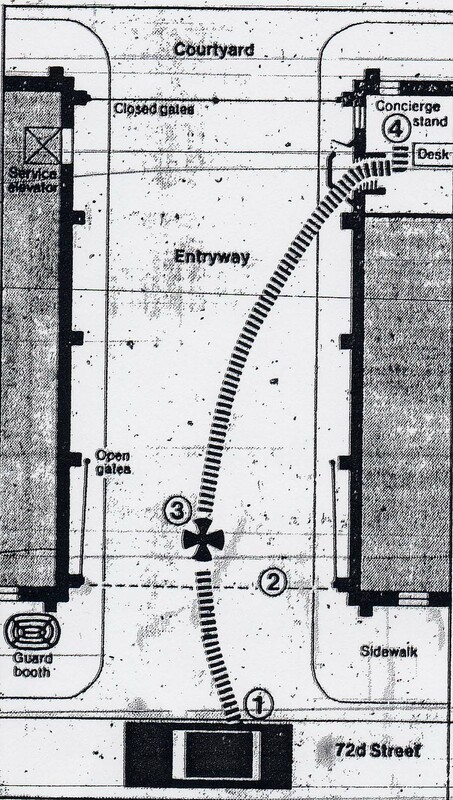 Here is a photo of The Dakota entryway with the police artist sketch of the murder in the top right corner. In this photo below, the guard is standing in almost the exact location Lennon was shot and you can even see the stairs Lennon stumbled over to get into the lobby. 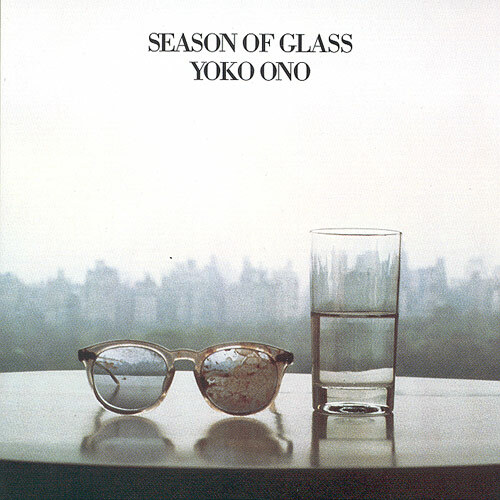 I find it a bit strange that Yoko would want to use this photo only a few months after his shooting at this location but then again she used a photo of his bloody glasses over looking central park for the cover of her solo album “Season of Glass” released a few months later on June 8, 1981. 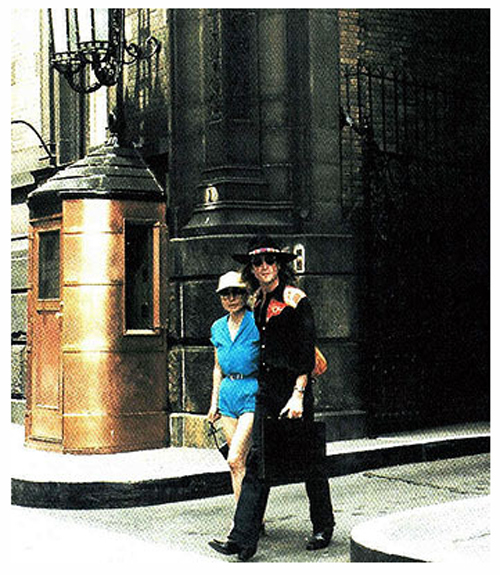 Here’s an alternate photo of John & Yoko taken on the same day as the “Watching The Wheels” single photo.